14 Quotes on Attachment from the Monk who Found his Way to Me. In March 2014, I booked my ticket to Nepal. For some reason, I felt a strong urge to visit Kopan Monastery in Kathmandu. There I attended daily dharma talks and spent a few days watching the students learning Buddhism courses. At that time I was leading a 9 to 5 office job, and I didn’t have the time to enroll in any of the full courses. However, I did promise myself that one day I would. 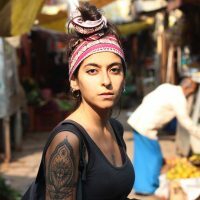 One year later, I quit my job and traveled to India. At the end of my trip, other travelers informed me about the Tushita Meditation Centre, where I could learn more about Buddhism. Without having any idea about the connection between Kopan Monastery and Tushita Meditation Centre, I booked my ticket this year back to India and registered for the Introduction to Buddhism course at Tushita. On the way to India, at the airport, I came across an article by a monk named Lama Yeshe on elephant journal. He tackled the ego and the dangers of attachment. I was startled by his words. I didn’t know anything about him—whether he was alive or deceased, or whether he had published any books. Nevertheless, I remembered the name “Lama Yeshe” and I was keen on finding out more about him. On day one of the Introduction to Buddhism course, they had us gather in the big gompa where the nun gave us guidelines for the 10 upcoming days. I took a seat right next to a wall, and they locked the room. Before delving in the precepts we had to respect, the nun told us about the history of Tushita—as she did, I sat speechless, covered with goosebumps for the next hour. It turned out that Tushita Meditation Centre was founded by Lama Yeshe in 1972, in response to the growing requests of Western students whom Lama Yeshe taught in Nepal, in Kopan Monastery, which he founded as well. And out of respect to his abiding presence in the center, they kept his room intact, locked, and built the gompa around it. The wall I was leaning on was the wall of his room. I was startled when I retraced how the events in my life led me to Kopan Monastery and Tushita, both of which were founded by him. The surprise of finding his article online and leaning on the wall of his room left me even more surprised. After this beautiful incident, I ascertained that some teachings find their way to us. In 2014 and 2016, I suffered the consequences of attachment, but thanks to the teachings of Lama Yeshe I could let go of most of them, and here I am today. Lama Yeshe passed away at the age of 59 in 1984; however, he is still known in Nepal and India for his wise teachings about the dangers of attachment. While reading his words, I find myself pausing many times to ascertain just how right he is. He basically explains that attachment is the biggest problem on earth, and once we learn how to let go if it, we will experience true abundance, freedom and joy. Thanks to Lama Yeshe’s teachings, I have reflected on my own past and am now convinced that I am the cause of my misery, which is the result of my own attachments. 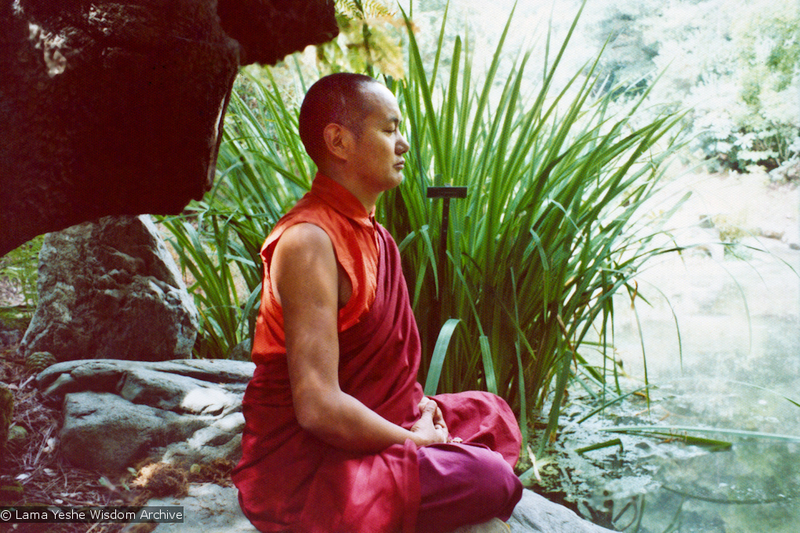 Image: Lama Yeshe meditating in the botanical gardens, Berkeley, California, 1974. Photo donated by Judy Weitzner.